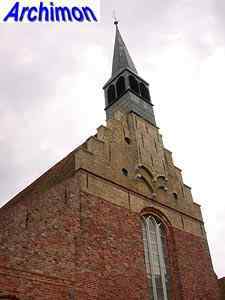 Like many churches in Friesland, this one was built on a terp, a heightened piece of land to protect whatever was on it from floods. 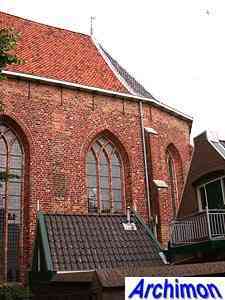 Several churches had been standing on this spot before this one, although the terp had been at least two metres lower when the first church was built. 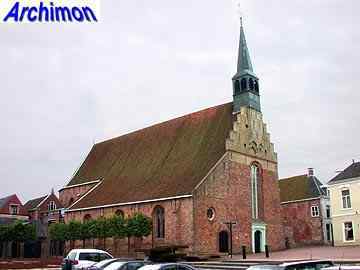 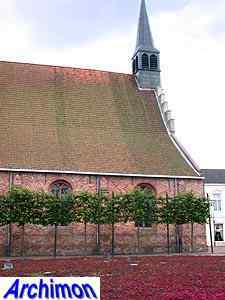 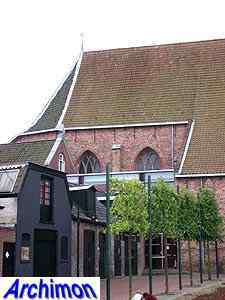 The current church dates from the early 15th century and was named St. Martinus until the Reformation of 1580, when it was conficated for protestant use, although it also served as a pilgrims church in memory of St. Boniface, who had been murdered nearby in the year 754. 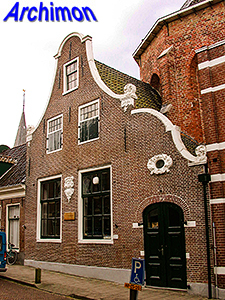 Originally it was a one-aisled building in Gothic style. 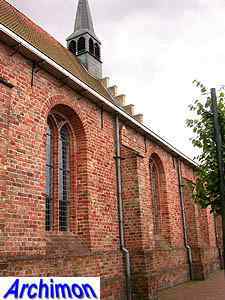 The northern side-aisle was added in the late-16th century and has round-topped windows. 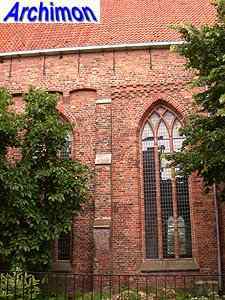 For the construction of this side-aisle stones were used of the abbey-church that was demolished in 1589 as a result of the Reformation, and that had been standing next to this church. 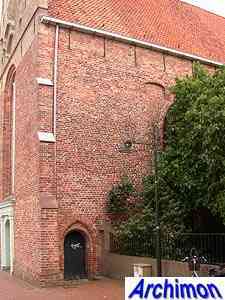 The facade of the original aisle has a stepped gable, a 20th-century reconstruction of an old situation as known from old drawings. 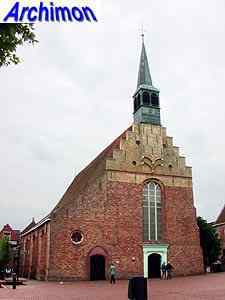 At the back, built directly against the choir, is a consistory with a facade dating from 1734.